I think most of us are pretty happy that the election is behind us. In the weeks leading up to it, many of us wished we could just skip past the fighting and smear campaigns and put it all behind us. As someone who is immersed in marketing day in and day out, I can’t help but look at the election through that lens. While the complex issues surrounding the election certainly can’t be boiled down into one simple marketing lesson, I do believe there’s one takeaway we can directly apply to business. And that lesson is this: If you want your audience to believe in you, support you and buy from you, you need to listen to them and then act accordingly. To some extent, both candidates did this. Hillary Clinton, for instance, is said to have used analytics as her “invisible guiding hand”. Instead of simply listening to the buzz on the street, she relied on Elan Kriegel, her Director of Analytics, to tell her exactly what the American people wanted and how best to reach them. Trump also invested heavily in analytics throughout his campaign. According to CNN, analytics were Trump’s secret weapon, allowing him to tailor his ads to voter personalities, beliefs and interests. In addition, Trump became known as the candidate who was on the ground, talking with and really listening to his audience. This allowed him to hit on issues that were close to the hearts and minds of many Americans. People who felt like they had been forgotten or ignored by politicians in the past finally felt heard. He accomplished this in a number of ways. First, he went where his ideal audience was. He campaigned in states where he knew he could have an impact, rather than fighting to sway a few voters in states that didn’t represent his “target market”. Second, he knew what his audience wanted, and he gave it to them. Instead of trying to appeal to every single voter in the country, he clearly defined who was likely to vote for him, and then promised them he would give them what they wanted: to “make America great again”. What you may be wondering at this point is “How do I use these strategies in my marketing to reach my target market?”. Following are some strategies you can use to identify and listen to your audience. This seems like such an obvious one, but unfortunately many business owners don’t take the time to really listen. Take some time to aggregate all the comments and questions you’re seeing. Have a simple spreadsheet or document where you compile all the FAQs and comments you’re seeing, and then use them to inform your content and marketing decisions. Social listening is a strategy every business owner should be using. It involves actively listening to what people are saying about your brand and products, as well as common questions, issues and concerns they have. While you can learn a lot from listening to what your audience is telling you directly (see #1 above), much of what you need to know is being said elsewhere online. For a complete list of tools you can use, check out my post Social Media Monitoring Made Easy: 15 (Free) Tools You’ll Want To Use Today. Listening is great, but it’s not enough. You also need to act on what you’ve learned. 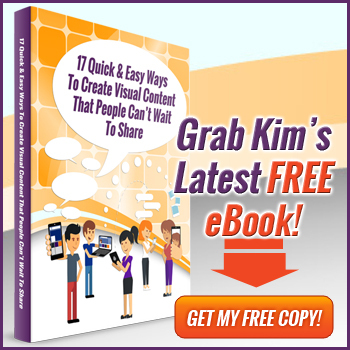 This will mean creating and sharing content that addresses the needs and wants of your audience. It will mean creating new products or offering new services that help solve the problems you’re hearing about. It will mean improving your customer service based on feedback you’ve received. It basically means following through on what you’ve learned, and giving people what they want. If you can’t or don’t want to follow through, you might as well not have listened in the first place! There’s a lot of stuff that happened during the election that I’m sure we all want to forget. But, I hope this marketing lesson – the importance of listening to your audience and then following through – is one you can remember and use as part of our own marketing strategy. How will you use this in your marketing? Share with us below! I agree with you Kim that many business owners still neglect their audience…and honestly, I can understand the ‘not having time’ thing, but if you’re running an online business – your audience should be your primary concern because without them, you don’t exist. Engaging in social listening and communication with your audience is of crucial importance! I think the lesson is that you don’t have to very clever. Just say to people what they want to hear. After winning you can can say you never told them anything. Ya right. audiance is god for online business. if there is no god then there is no one. so do not neglect your audience. Personalization and sharp shooting was the key in terms of Donald Trump winning the election. He knew how to localise the ads for the local community and he knew his TG. He spent bucks on paid advertising and created PR buzz every second day. Business owners should give more importance to their audience because without knowing audience’s interest and suggestions business can not be improved. They can use social media platforms to interact with their audience. Great post and so good points you have collected from that election. it is one of the best way of marketing. I also try these tips for my website. Election campaigns are all about marketing, Best marketer out there would win the game. Digital marketing people have lot of things to learn from it. Thanks for the article. Great online marketing tips. Thanks for the reminders! Awesome post! Very informative and spot on! Its all about targeting the right audience with the right pitch! Audience is a key to success for every business. So Try To Speak CATCHY. Use magnetic words and target the Right Audience. This is an interesting and great content.Very informative and spot on. 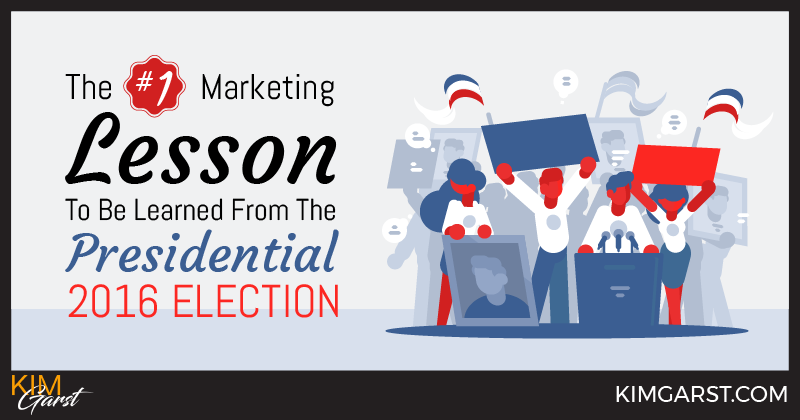 This is some really good information about lessons about marketing you can take from elections. It is good to know that it would be smart to think about looking at social media sites. That does seem like a good thing to do if you need to understand your audience.